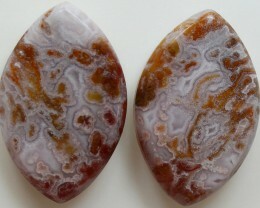 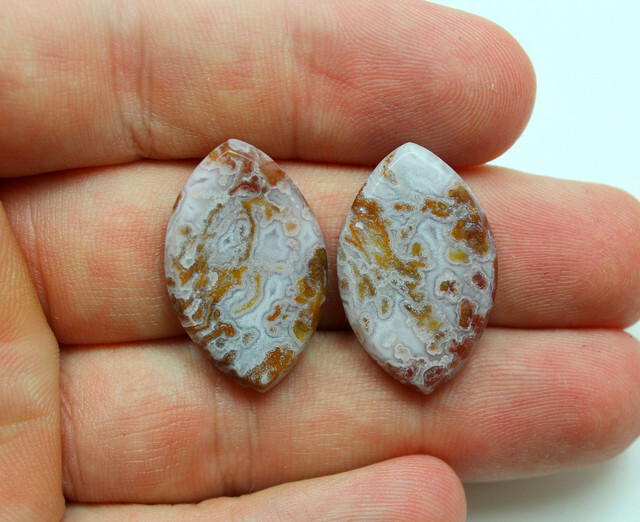 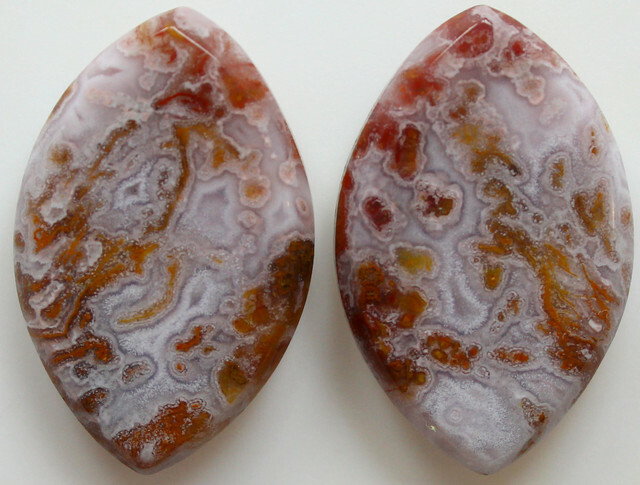 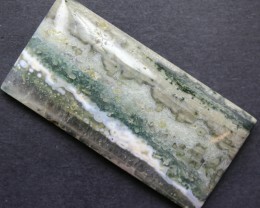 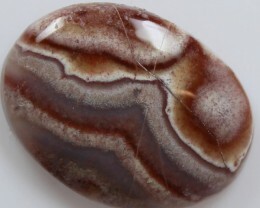 Crazy Lace Agate is a banded chalcedony (microcrystalline quartz) that is infused with iron and aluminum. 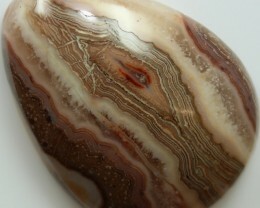 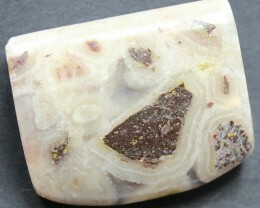 Creamy browns, blacks, grays and golds (and occasional pinks or reds) swirl together creating complex patterns that make this a unique agate. 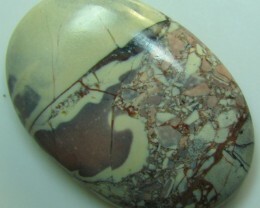 This Crazy Lace is from Mexico. 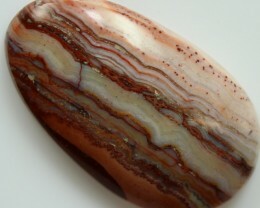 Agate has a hardness of about 7 on the Moh's scale. 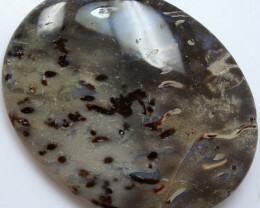 The name is derived from its occurrence at the Achates River in southwestern Sicily. 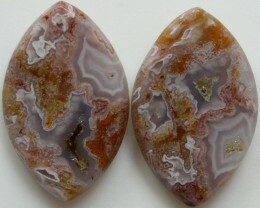 In many traditions agate is believed to cure the stings of scorpions and the bites of snakes, soothe the mind, prevent contagion, quiet thunder and lightning, secure the favor of the powerful, and bring victory over enemies.